Posted on Monday, November 6th, 2017. - Filed under 55-Inch. If we talk about basic 55-Inch 4K LED TV from Samsung’s 2017 lineup, We can find Samsung UN55MU6300 (UN55MU6300FXZA) and UN55MU6290 (UN55MU6290FXZA) as two choices that we can consider. As two basic 55-Inch flat screen 4K LED TVs, There are a number of similarities between Samsung UN55MU6300 and UN55MU6290. Is there any significant difference between those two TVs? Let’s talk about Samsung UN55MU6300 and UN55MU6290 as well as their key difference on this article. Samsung UN55MU6300 is introduced as part of Samsung MU6300. It’s positioned as the successor model of Samsung UN55KU6300 from Samsung’ 2016 TV lineup. Samsung UN55MU6300 comes with 4K UHD Resolution in Flat-screen design. Although we can find the new curved screen as new screen option, but Flat-screen is still the more popular option. Samsung UN55MU6300 is completed with UHD Dimming-UHD Upscaling combination. With UHD Dimming-UHD Upscaling combination, you can enjoy brilliant picture from both original 4K content sources or HD contents that upscaled into near 4K picture quality. Samsung UN55MU6300 is also completed with 4K Color Drive-Essential Black pro combination. That combination is able to deliver rich color details with deep black level on the TV screen. HDR technology installed in Samsung UN55MU6300 is 4K HDR Pro. With 4K HDR Pro, you can enjoy enhanced details and expanded contrast from your HDR content sources. 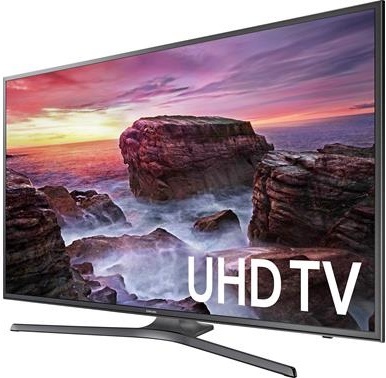 Motion Rate 120 is the refresh rate of Samsung UN55MU6300. Although Motion Rate 120 is basic refresh rate for Samsung 4K LED TV, but It actually still can delivers smooth fast motion images from your favorite movies and sports. The Smart TV platform of Samsung UN55MU6300 is Smart Hub. Smart Hub is able to deliver premium entertainment to your home screen, while It also can run additional Tizen based Apps on the TV screen. Smart Remote is included with Samsung UN55MU6300 to help you control the TV and Smart Hub more conveniently. Samsung UN55MU6290 comes as one of the screen size options of Samsung MU6290. If we look at their model number, We can easily guess that Samsung MU6290 is the model that positioned slightly lower than Samsung MU6300. 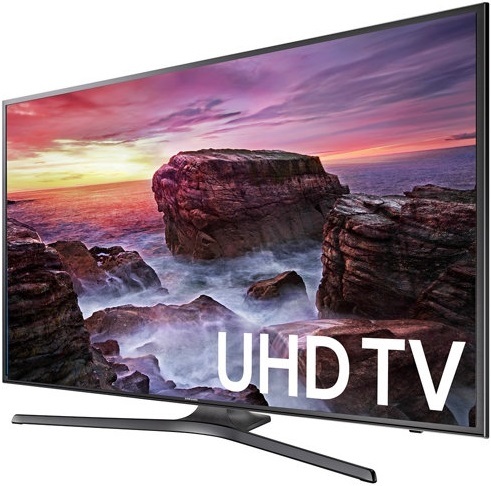 Samsung UN55MU6290 comes with 4K UHD Resolution that completed with UHD Upscaling. The combination of UHD Upscaling and UHD Dimming is able to deliver brilliant picture quality from both original 4K content sources and HD contents that upscaled into near 4K picture quality. Samsung UN55MU6290 comes with 4K Color Drive as its color technology and Essential Black Pro as its black technology. 4K Color Drive deliver rich color details, while Essential Black Pro deliver deep inky black on the TV screen. 4K HDR Pro is installed on Samsung UN55MU6290 to deliver enhanced details with expanded contrast from your HDR content sources. The refresh rate of Samsung UN55MU6290 is Motion Rate 120. With Motion Rate 120, Samsung UN55MU6290 is able to deliver fluid motion images from your favorite action movies and sports. Smart Hub is installed on Samsung UN55MU6290 as its Smart TV platform. Smart Hub help you to enjoy premium entertainment from your favorite content providers with faster 802.11ac connection. Smart Hub is also able to run additional Tizen based Apps on the TV’s big screen. The specs and features of Samsung UN55MU6300 and UN55MU6290 can be found on the table below with similarities-differences format. We need to know the specs and features of those two 55-Inch 4K LED TVs before we can talk further about their key difference. Is There any Significant Difference between Them? The difference of Samsung UN55MU6300 and UN55MU6290 can be found on the table above. We can find that the key difference of Samsung UN55MU6300 and UN55MU6290 come from their remote control. Samsung UN55MU6300 comes with Standard Smart Remote (TM1750A), while Samsung UN55MU6290 comes with Standard Remote (TM1240A). With Smart Remote control, you can control the TV more conveniently than using standard remote. There’s also another difference that we can find between those two TVs. We can find that Samsung UN55MU6300 comes with Bluetooth, while Samsung UN55MU6290 doesn’t come with any Bluetooth. Bluetooth will give you easy connection to your wireless speaker, headset and other bluetooth supported devices. Talking about their price, We can find that Samsung UN55MU6300 is commonly offered at the higher price than Samsung UN55MU6290 although We may find that They are offered at similar price by some retailers. It’s a good idea to check the latest price of those two TVs to know their latest price difference since TV prices are changing over time. Conclusion : Samsung UN55MU6300 or UN55MU6290? 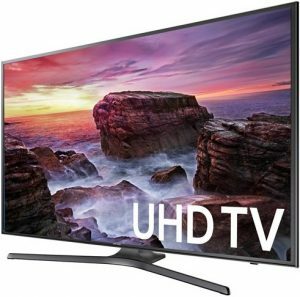 Related Post To Samsung UN55MU6300 vs UN55MU6290 : Is There any Significant Difference between The Two? LG OLED55B9PUA vs OLED55B8PUA : Is There Any Reason to Choose the New LG OLED55B9PUA? We can find LG OLED55B9PUA comes as the successor model of LG OLED55B8PUA. LG OLED55B9PUA comes as part of LG’s 2019 TV lineup, while LG OLED55B8PUA comes as part of LG’s 2018 TV lineup. As the successor..
Sony XBR55A9G vs XBR55A8G : How is XBR55A9G Compared to XBR55A8G? Sony XBR55A9G and XBR55A8G are two 55-Inch 4K OLED TV introduced by Sony in their 2019 TV lineup. From their name, you can guess that Sony XBR55A9G is the model that positioned higher than Sony XBR55A8G. Which..
I’ve noted the 6290 will have a delay very regularly when accessing menus whereas the 6300 does not. I wonder if the processor has been down-clocked to save even more money. There is one additional difference that I do not see listed in this article… the MU6300 offers Bluetooth connectivity while the MU6290 does not. If I were to purchase the tm1750a smart remote for the UN55MU6290 (2017) tv, can I get it to be compatible? I have UN55MU6100, What is the main difference between these tv? Samsung UN55MU6100 is the model that’s not intended for US Market. Samsung UN55MU6300 and UN55MU6290 use 4K Color Drive as its color technology, while Samsung UN55MU6100 use PurColor.